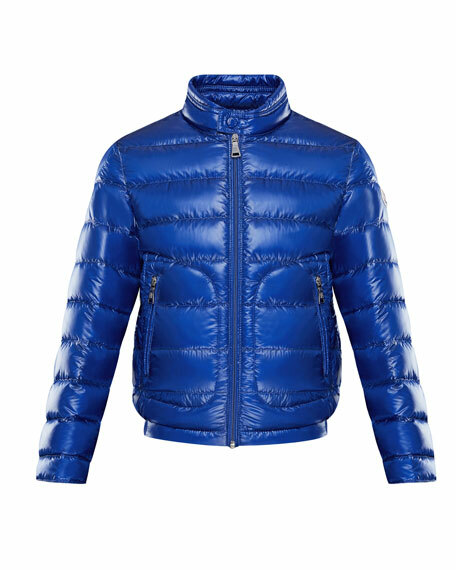 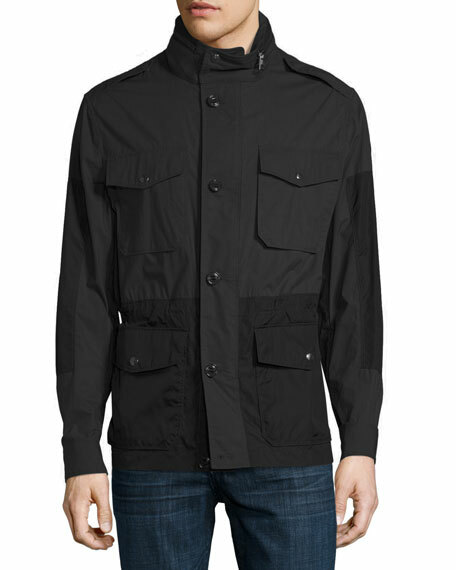 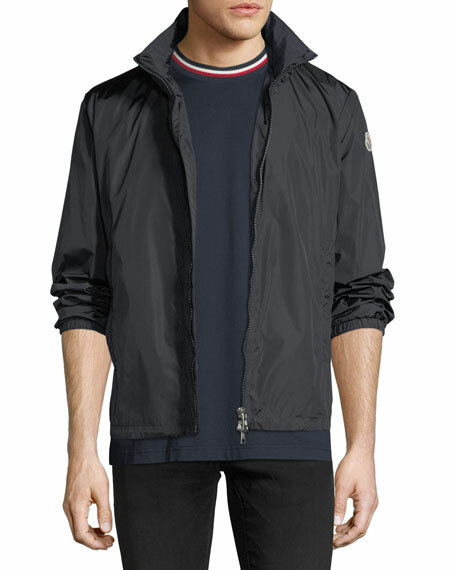 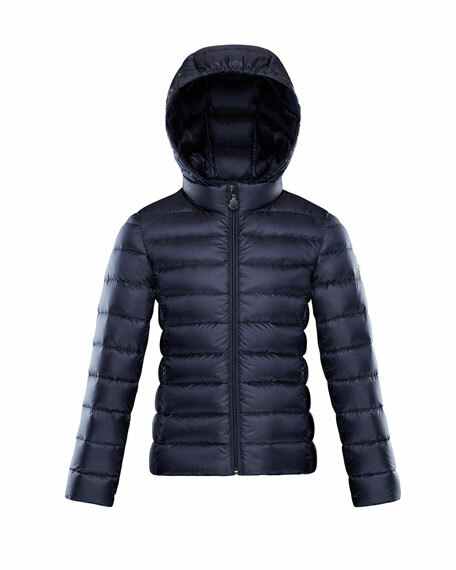 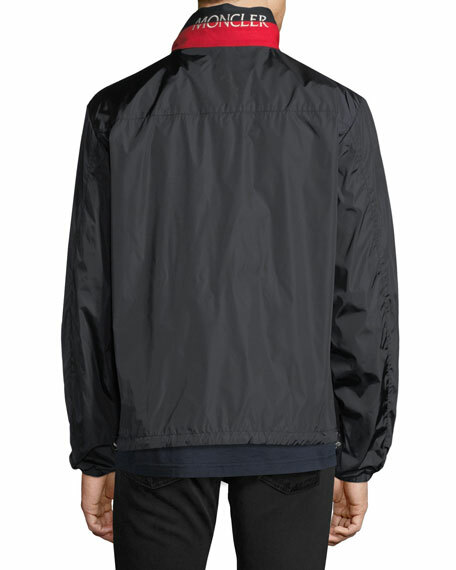 Moncler jacket with logo patch at upper left arm. 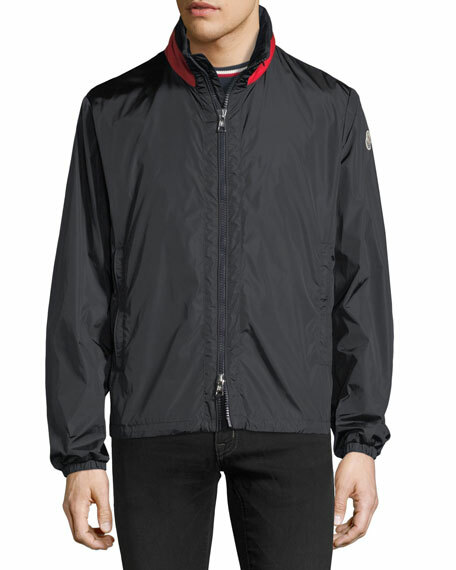 Stand collar; logo behind neck; two-way zip front. 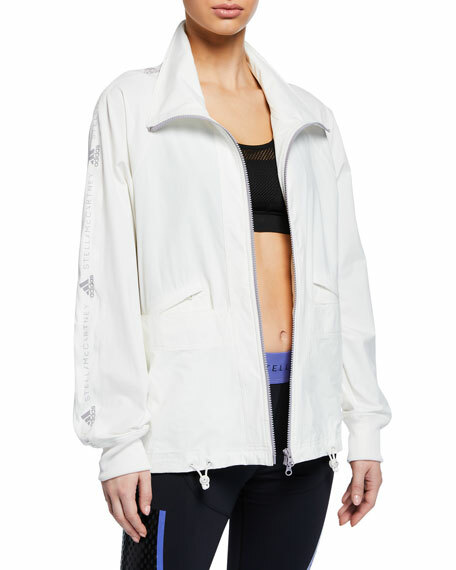 For in-store inquiries, use sku #2437260.